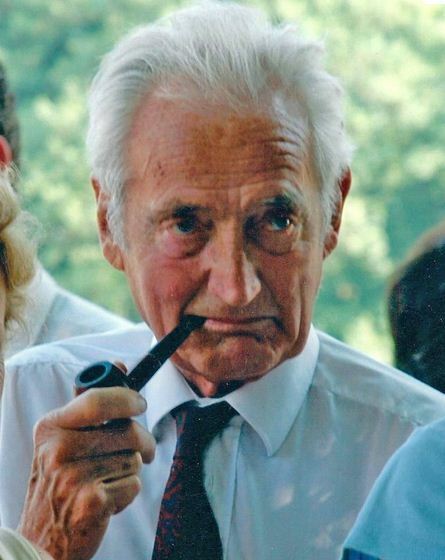 A wonderful obituary of this brave and colourful figure who probably did not know Paddy, but was in the SOE, and whose story is well worth reading anyway. For some reason it is no longer available on the Telegraph website where it was published on 29 June 2012. You can read a pdf of it here. The version below is written by Phil Davison and was published in the Independent on 21 June 2012. Thank you to Mark Granelli for bringing this to my attention. Descended from an ancient French noble family, Count Robert de la Rochefoucauld was one of the last surviving French agents of Britain’s Special Operations Executive (SOE), the secret organisation set up by Winston Churchill to aid anti-Nazi resistance fighters. There are now believed to be only two surviving French agents of the SOE, which Churchill ordered to “set Europe ablaze” through sabotage. While General Charles de Gaulle organised his Free French Forces (FFL) from his London base, some Frenchmen were hand-picked and trained by the SOE before being sent back to their occupied country to provide money, equipment and training to the local maquis. De la Rochefoucauld was recruited by Captain Eric Piquet-Wicks, who was in charge of the SOE’s RF Section of French nationals based at 1 Dorset Square, London. They worked in parallel with, though not always in agreement with, the more famous F Section run by the legendary spymaster Maurice Buckmaster. The SOE would later be dubbed “the Ministry of Ungentlemanly Warfare”. De la Rochefoucauld received parachute, sabotage and commando training at secret locations in England and Scotland, including “silent killing” techniques taught by the renowned duo Fairbairn and Sykes – designers of the famous commando knife – at Arisaig, Inverness-shire, before being parachuted back into his homeland. Dropped into France twice by the RAF, captured twice by the Nazis and once sentenced to death by firing squad, he survived by using the unarmed combat skills taught to him in the Scottish Highlands. He killed one German guard by strangling him, donned his uniform and shot two more guards to escape. He attacked an electric power plant at Avallon in the Morvan mountain massif of Burgundy, but perhaps his greatest feat, in the spring of 1944, was blowing up France’s biggest munitions factory, at Saint-Médard near Bordeaux, occupied by the Nazis and crucial to their war effort. Count Robert Jean-Marie de la Rochefoucauld was born in Paris in 1923 into one of France’s oldest aristocratic families with records dating back to the 10th century. The family controlled most of what is now the Charente department, based in the magnificent Château de la Rochefoucauld on the river Tardoire, where a branch of the family still lives. On his maternal side, Robert was descended from the old de Wendel family. He was 16 when the Nazis stormed into France in May 1940. Young Robert was living underground in Paris when he was tipped off by a sympathetic post office worker that someone had denounced him to the Gestapo as a “dangerous terrorist”. Deciding to join de Gaulle in London, he hooked up with the Resistance, who helped him cross the border into Spain in late 1942 along with two British RAF pilots shot down over France. The three were apprehended by Franco’s police and interned for two months in the infamous Miranda de Ebro camp for foreign prisoners which had been used by Franco’s forces as a concentration camp for Republicans during the Civil War. De la Rochefoucauld was lucky to have been with the British airmen: Britain’s ambassador to Spain sprang all three of them and arranged an RAF flight to London. After first parachuting into the Morvan region and destroying the Avallon plant, de la Rochefoucauld was caught by the Nazis and condemned to death, but escaped. He reached Calais, where a pro-Resistance fishing boat got him to a British submarine and back to England. After parachuting back again to the Bordeaux region, he led local maquis fighters in blowing up the sprawling Saint-Médard munitions plant 12 miles outside Bordeaux. The noise, at 7.30pm on 20 May 1944, was heard for tens of miles around and gave a major boost to the Resistance with D-Day in the air. De la Rochefoucauld then linked up with the famous résistant known as Aristide – real name Roger Landes, a bilingual British citizen (Independent obituary, 12 August 2008) – but was again arrested by the Gestapo and thrown into the Fort du Hâ in Bordeaux, a fortress built by Charles VII in the 16th century. He considered two options, one of them to take the cyanide”L-Tablet” hidden in the heel of his shoe, which would kill him within 15 seconds. But he took the second option, faked an epileptic fit, strangled his guard and shot dead two others before fleeing. After the war, de la Rochefoucauld trained French commandos in Indochina and for their assault on the Suez Canal in 1956. On retirement from the military, he set up a transport business in Senegal and ran a plantation in Venezuela to import bananas to Europe. He also served from 1966-96 as the popular mayor of Ouzouer-sur-Trézée in north-central France, where he died. Robert de la Rochefoucauld published his memoirs in 2002, titled La Liberté c’est mon plaisir. His awards included Chevalier de la Légion d’Honneur, Croix de Guerre, Médaille de la Résistance and Britain’s Distinguished Service Order (DSO). Count Robert de la Rochefoucauld is survived by his wife Bernadette (née de Marcieu de Gontaut-Biron), his son Count Jean de la Rochefoucauld and three daughters, Astrid, Constance and Hortense. Count Robert de la Rochefoucauld, wartime SOE agent: born Paris 16 September 1923; married Bernadette de Marcieu de Gontaut-Biron (one son, three daughters); died Ouzouer-sur-Trézée, France 8 May 2012. This entry was posted in Other SOE Obituaries and tagged Count Robert de la Rochefoucauld, SOE on May 11, 2013 by proverbs6to10. The contrast between the Count’s heroic patriotism and most of France’s immoral fecklessness makes me wonder all over again at France’s disgrace.